Caroline Kennedy has been working in private college admission counseling? Who knew? Photo credit: Martyna Borkowski. Private college admission counseling to a political envoy? On ABC’s “World News with Diane Sawyer” tonight, Diane Sawyer announced that Caroline Kennedy is the likely choice to be the next United States Ambassador to Japan. This doesn’t come as a big surprise to us. 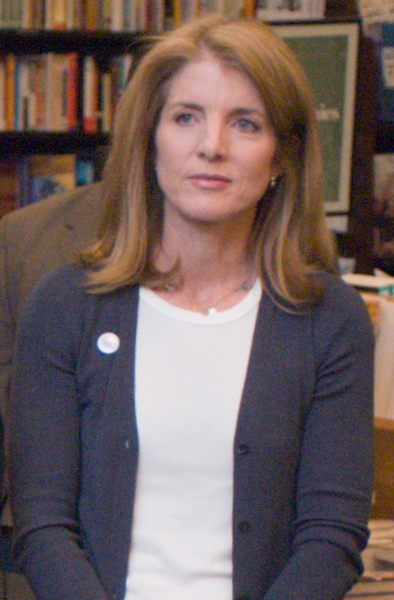 Caroline Kennedy has been looking to get into the political arena of late, especially after the death of her uncle, Ted Kennedy. While there is a Kennedy in Congress now with Joseph Kennedy III representing his district in Massachusetts, the overall absence of Kennedys from public life clearly doesn’t sit well with her. As an early endorser of President Barack Obama when he was running against then-Senator Hillary Clinton for the presidency, the timing of her appointment is also no surprise. Secretary of State Clinton is no longer in office — there was, presumably, a bit of a grudge. But we’re not a political blog. We’re a college admissions blog. So why are we writing about Caroline Kennedy? Because it was also announced on “World News” last night that Caroline Kennedy has been helping students of late as a college counselor. Presumably Caroline Kennedy doesn’t charge for her services. But exactly what experience does Caroline Kennedy have in helping students gain admission to the colleges of their dreams? She’s certainly rather accomplished (hey, we’re Kennedy fans), but college admissions counseling? How exactly does she know the ins and outs of the highly selective college admissions process? Simply by attending a great school doesn’t make one an expert (we’ve seen many parents over the years seek to be private college counselors after we helped their kids gain admission to top colleges). Anyhow, we thought it was a bit weird. Caroline Kennedy is obviously a great philanthropist and she should be applauded for any of her (presumably) pro bono work. It just gave us a bit of a giggle that John F. Kennedy’s daughter was working as a private college counselor prior to being named the Ambassador to Japan. It’s a little funny, no? And this is NOT an April Fool’s!